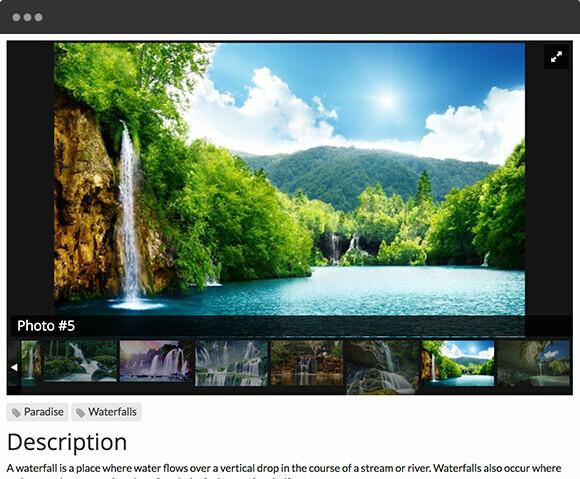 Photo galleries are integrated into many features that come with the Brilliant Directories platform. Products, classifieds, properties and more all have integrated photo galleries. You and your members can also create custom photo albums – perfect for websites that showcase artwork, design ideas, locations and more. Manage albums, set album orders, edit photos and more. Galleries designed for an immersive viewing experience. 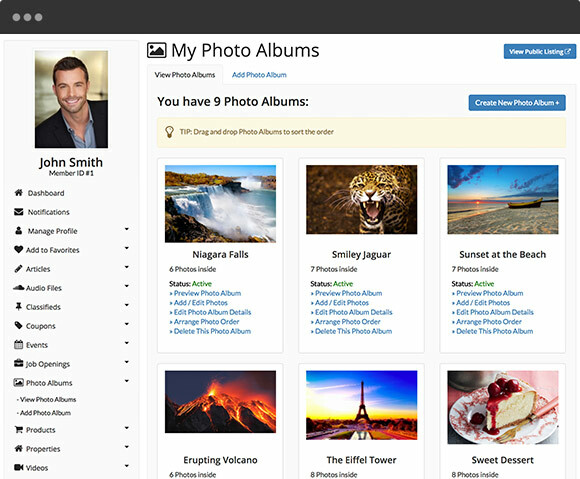 Create a new photo album, add a title, additional details and keywords and upload your images. Choose the specific order you want your images to appear in. Images can also be moved to other albums. Album and photo titles, descriptions and keywords ensure they are all optimized for search engines.